Anyone know what year that Wizards shirt is from? 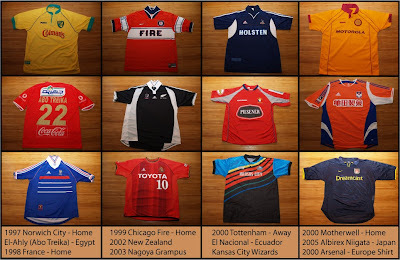 I know it's from the early years of MLS but I didn't have much time and couldn't find the exact year on my quick look. Any gotta-have shirt suggestions for the collection? Anyone else out there collect shirts? So after watching Spinal Tap with friends this weekend and figuring out that Harry Shearer's character was wearing an old Shrewsbury Town jersey throughout, I decided I need one. Any idea where to find one? The links here didn't seem to have one. They have that shirt at Toffs. I just noticed that the link I gave opens in this tiny blogger window. Here's the link if you want to paste it into a regular browser window. Who will be in the Premiership next year?